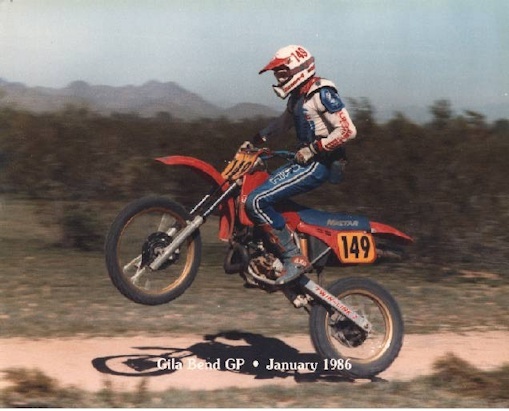 The Honda CR500 is a bike legends are made of, literally. A legend is something that usually starts from truth but then evolves into myth that is still regarded as accurate and true. This is what happened to the Honda CR500. Many believe that the CR500 is the HE-MAN of dirt bikes, the most powerful dirt bike in the universe! This is especially true when you read comments from people on the internet where the legend is that nothing can beat the CR500. 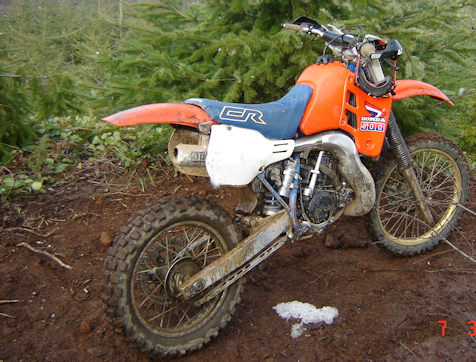 So much so in fact that no one actually knows what the true horsepower of a CR500 is. A "slight" modification can get you 80 horsepower some claim while others claim a stock CR500 does over 100 horsepower. The truth is that a stock CR500 makes 50-55 horsepower and a Kawasaki KX500 does indeed beat the CR500 in a drag race. Sorry, that's just facts. A tuned CR550 Liger engine can make 91 horsepower somewhere in the range of 7,000 to 9,000 rpm and that's tuned and 50cc more than the CR500. You can see this in the video below. 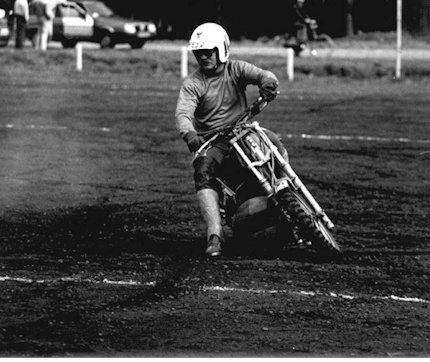 The 1974 Suzuki TS 250 was the second real dirt bike I got to own and ride. 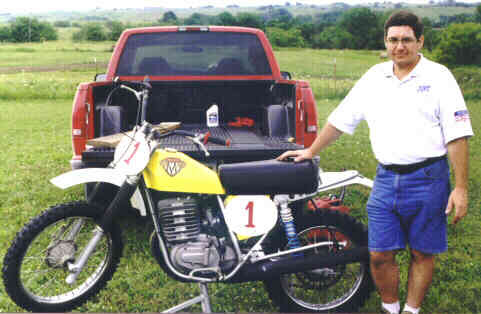 This is excluding go-carts and three wheelers as this was the second true dirt bike. 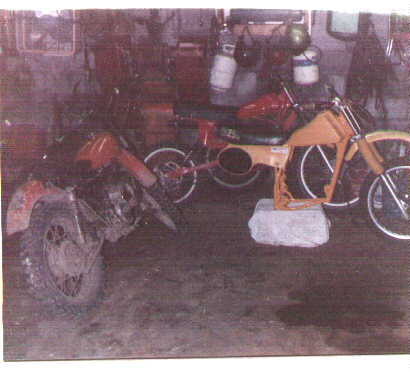 The first dirt bike was a 1971 Kawasaki 100, which was either a KE 100 or the predecessor to the KE. The 1974 TS 250 was one that my dad had bought new back in 1974. He sold it to a friend but they weren't riding it so it just sat in the garage. The thing was all metal, including the tank and by today's standards of course quite heavy for an off-road bike. The question was if the bike was too big for me at the time after all not only was it a 250 but a very heavy tank. I came up with the idea that well the main thing was if I fell I'd need to be able to pick the bike back up by myself. So that became the test. We laid the bike down and I had to pick it back up, which I did with little effort and so we got the bike back. Two-Stroke Fuel Injection is Here... Now! New Billet Pistons not boring!